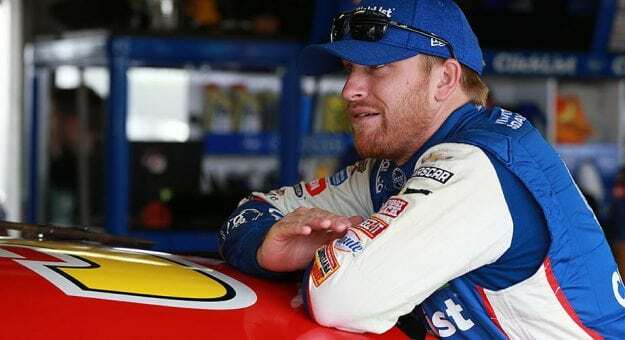 Chris Buescher landed the fastest speed Tuesday in the final day of a two-day Organizational Test for Monster Energy Series teams at Kansas Speedway. Buescher drove the JTG Daugherty Racing No. 37 Chevrolet to a best speed of 185.989 mph on the 1.5-mile track, site of a NASCAR Playoff race on Oct. 21 ( 2 p.m. ET, NBC/NBC Sports App, MRN, SiriusXM NASCAR Radio). His speed was slightly slower than the 186.477 mph lap posted by Chase Elliott on Monday, the first day of the session. Kyle Busch, last weekend’s winner at Richmond Raceway, was the only driver among the top three on both days of the Organizational Test. He was third-fastest on the Monday speed chart and posted the second-best lap on the closing day. Defending series champion Martin Truex Jr. was fourth-fastest on Day 1, but his Furniture Row Racing team did not participate in the second-day session. A dozen teams participated in Kansas testing. Drew Herring, Justin Allgaier and David Ragan were also there on behalf of TRD, GM Racing and Ford, respectively, driving wheel-force cars for further data collection for the manufacturers.